Sunpreme, Inc. issued the following announcement on Jan. 23. JDS Power, a California based developer/installer and Sunpreme Inc., are pleased to announce the completion of Commercial Rooftop and Carport solar system at Sports Center, Escondido, CA.The 650kw PV system deployed Sunpreme award winning GxB320 SM panels – with advanced bifacial technology and integrated panel optimizer. The system will do more than just help control its electric bill, it will generate clean, emission free electricity annually, and provide a centerpiece to the holistic approach to environmental stewardship. "There was only one panel design capable of meeting the energy production requirements within the constraints of available rooftop space and cost efficiencies required for this project. We chose Sunpreme bifacial smart panels for their higher lifetime energy production, proven product reliability and an outstanding warranty for a long-term investment. These panels provided a significant competitive advantage to rooftop and carport system in terms of panel-level monitoring and rapid safety shut down, while maximizing energy yield over conventional panels – thereby delivering more electricity," said Jon Silvester, CEO at JDS Power. "This is our 3rd business collaboration, and Sunpreme demonstrated a reliable and trusted partner, with truly professional customer support," added Silvester. "We are privileged to have collaborated with JDS Power in making bifacial smart PV panel technology available to their prestigious project at Sport Center, CA. The growing C&I market is of strategic importance, and we are committed to deliver superior Sunpreme experience at every step of a customer's solar energy journey. 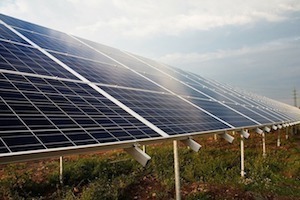 Sunpreme bifacial smart PV panels are an industry game changer offering our customers with a world-class product, and safest long-term energy investments," said Surinder S. Bedi, Executive Vice President for Global Business Development, System Products and Quality & Reliability at Sunpreme. "These double-glass bifacial panels were designed with useful life exceeding 30 years -- backed by an outstanding industry-leading warranty and superior lifetime yields to deliver more savings for our clients," added Bedi. Want to get notified whenever we write about Sunpreme, Inc. ? Next time we write about Sunpreme, Inc., we'll email you a link to the story. You may edit your settings or unsubscribe at any time.